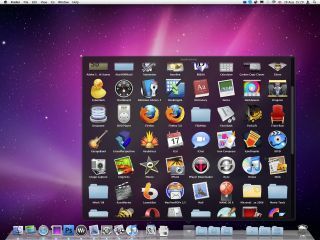 Apple has come under fire this week with reports that Snow Leopard's next update, OS X 10.6.2, will disable those who are using the OS on a netbook using an Atom chip – commonly known as a Hackintosh. TechRadar spoke to Chris Phin, Deputy Editor of MacFormat about the news and he was reticent to say that this was a deliberate attempt to block those who are flouting the company's licensing terms, rather something more technical-based. "Apple has been known, of course, to stop supporting some older processor architectures; ­ think of the move from 68k, or the recent lack of support for PowerPC in Mac OS X 10.6 ­but if true, this seems like a very different, precision-targeted move," explains Phin. He continued: "It would be out of character of Apple to be so aggressive, however, if indeed it becomes clear that the decision was made specifically to damage the netbook hackintosh movement, such as it is. "I'd be less surprised to learn that there was a specific technical reason that Atom support, having been dropped from the developer build of 10.6.2, is indeed missing in the final version." Phin also gives a word of warning to those who have hacked their netbooks to work with Apple's OS, noting: "While Hackintoshing can be both fun and rewarding, especially on small form-factor netbooks that have traditionally used Atom processors, it contravenes the terms of the Mac OS X EULA, so was in any case illegal. Apple has no duty to maintain support for these unsanctioned computers."